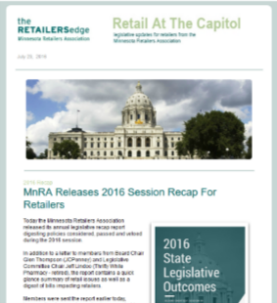 Emily McGann has been elected chair of the Minnesota Retailers Association (MnRA). In late January the Board of Directors met and selected McGann to lead the organization representing 1,200 retail stores. The volunteer leadership role is for one year and encompasses leading a group of 25 Board members from all around Minnesota and a staff focused on growing Minnesota’s retail economy and jobs. 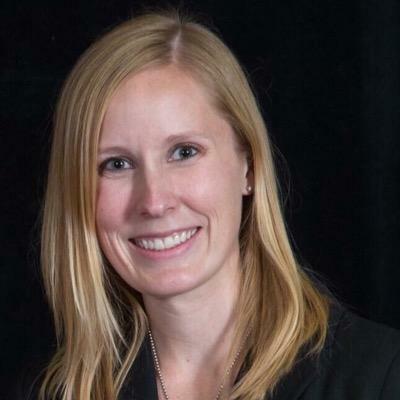 McGann is a regional director of state government affairs for CVS Health, where she works with elected officials in Minnesota, as well as Iowa, Indiana, Michigan, Nevada, North Dakota, and Wisconsin. CVS Health is a health innovation company working to help people on their path to better health. Its CVS Pharmacy retail division has more than 9,800 locations, including more than 130 retail pharmacies in Minnesota. McGann is excited about her leadership role, saying “Minnesota has such a vibrant, diverse retail community. I look forward to this opportunity and am ready to ensure that the retail voice will be well represented and heard across the state as we discuss issues important to employees and the retail business model." 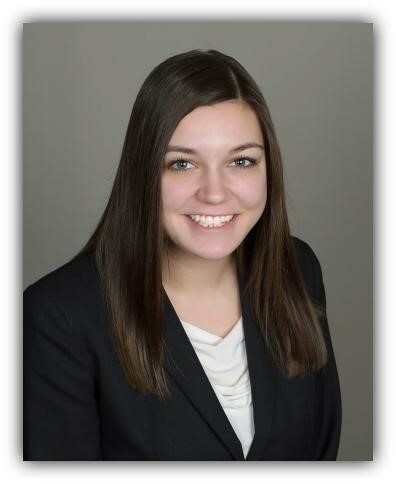 The Minnesota Retailers Association is excited to welcome our new government relations manager, Savannah Sepic. Savannah was born in Rochester, Minnesota but has spent much of her life in Madison, Wisconsin. This past May, Savannah graduated from the University of Wisconsin-Eau Claire with a double major in political science and advertising. Savannah recently moved to St. Paul and is already enjoying exploring Minnesota and all it has to offer, including our vibrant retail community. Savannah served as a legislative intern at the Eau Claire Area Chamber of Commerce where she organized Chippewa Valley Rally, a grassroots member activity similar to MnRA's annual Retail Day at the Capitol. In addition, Savannah researched chamber policies and helped members engage with elected officials. Following graduation and through the 2018 election, Savannah ran a field office for a political party in Hudson, Wisconsin. Politics and membership organizations are second nature to Savannah as she grew up accompanying her father--a veteran of the chamber of commerce and association industry--to board meetings. "I am excited to learn the ins and outs of the association, along with diving into the issues important to our members," said Savannah. "I look forward to meeting everyone and the start of the 2019 legislative session." 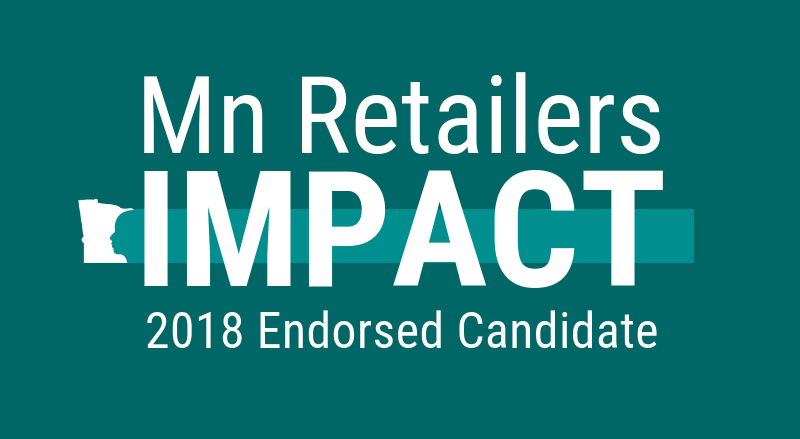 “Each endorsed candidate is a champion for Minnesota consumers, retailers, and our communities. 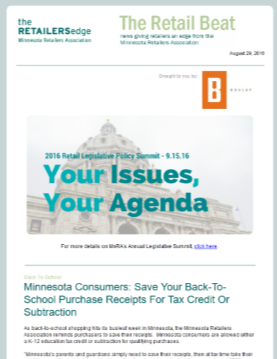 They understand what the retail industry offers Minnesota’s economy and appreciate the 788,000 jobs that retailers support across the State,” said Mn Retailers IMPACT treasurer Bruce Nustad.